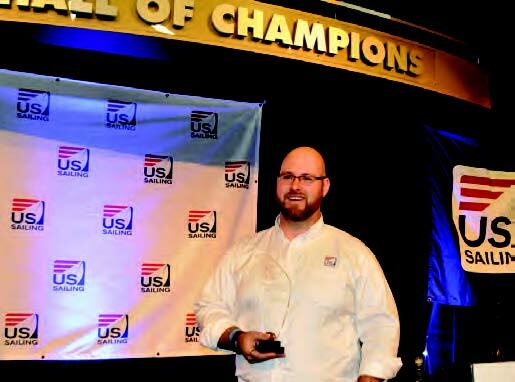 In February, several Northeast individuals, organizations and events were recognized at US Sailing’s inaugural Leadership Forum in San Diego, CA for their achievements in training, community sailing, and one-design racing. Stu Gilfillen of Tiverton, RI received the Marty A. Luray Award for Outstanding Support of Public Access Sailing. Gilfillen has dedicated over 15 years of his life to the growth and development of community sailing in the U.S. The former Executive Director of the Sarasota Youth Sailing Program in Sarasota, FL, Gilfillen has been involved with the development of US Sailing programs such as the Community Sailing Sanctioning Program, Adaptive Sailing Center Program, and regional symposiums, and has served as the organizer for the National Sailing Programs Symposium. In 2013, Gilffillen helped launched the first ever Community Sailing and Training Awards Dinner which provided a showcase to recognize those individuals who have contributed to getting people on the water. A former dinghy sailor and college coach, he loves the competitive aspect of the sport but is a staunch advocate of promoting the social aspect of sailing and that being on the water, regardless of the boat or type of sailing sailing, is the true barometer for the success of community sailing. The New England Science & Sailing Foundation (NESS) in Stonington, CT was named the Outstanding Community Sailing Center for 2013. The award, given annually to a sailing program that has made notable contributions to promote public access by demonstrating growth in program offerings, including partnerships, or community involvement and awareness, was presented to NESS President Spike Lobdell, Executive Director Cindy Nickerson, and Sailing Program Director Mark Zagol. “This honor is the direct result of the investment of our friends and donors, the hard work of our program staff, board, and educational partners whose support empowers us to make a difference in our community,” said Lobdell. 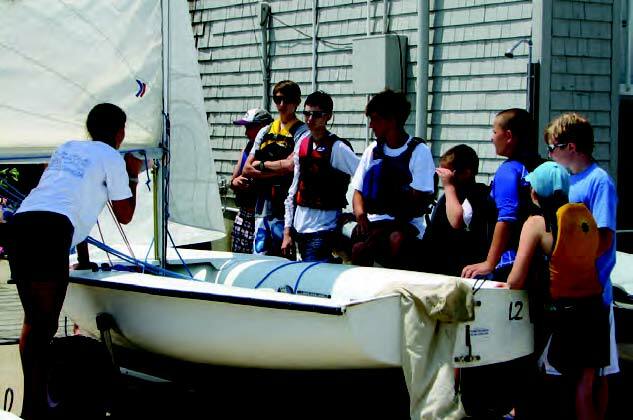 In 2013, NESS served 2,700 participants through its experiential hands-on science and sailing programs. Of these, more than 900 were sponsored by scholarship gifts and grants for underserved regional school children. NESS also offers after-school and in-school partnerships, and was recently named the official Community Partner of Bennie Dover Jackson Middle School in New London, CT. The New London STEM Leadership program at NESS promotes interest in science, technology, engineering and math (STEM) through hands-on learning opportunities for middle school students. In addition to learning to be safe and comfortable sailing boats and exploring local ecosystems, students gain life skills such as teamwork and self-confidence. For more information, visit nessf.org. Sperry Top-Sider Charleston Race Week received the 2013 One-Design Award for Regatta Excellence. In the span of two decades, this event has evolved from a local competition with 29 boats to the largest regatta of its kind in the Western Hemisphere. In 2013, Sperry Top-Sider Charleston Race Week attracted nearly 300 boats from a dozen countries, establishing its reputation as a bucket list regatta for one-design sailors. Organized by the Charleston Ocean Racing Association, a local non-profit advocacy organization dedicated to promoting sailing and making it accessible to more people, the regatta is run almost entirely by volunteers. With an emphasis on top quality race management and competition, the event is frequently chosen by one-design classes for regional and national championships. This year’s Sperry Top-Sider Charleston Race Week is April 10 – 14 in Charleston, SC. Visit charlestonraceweek.com for more information.